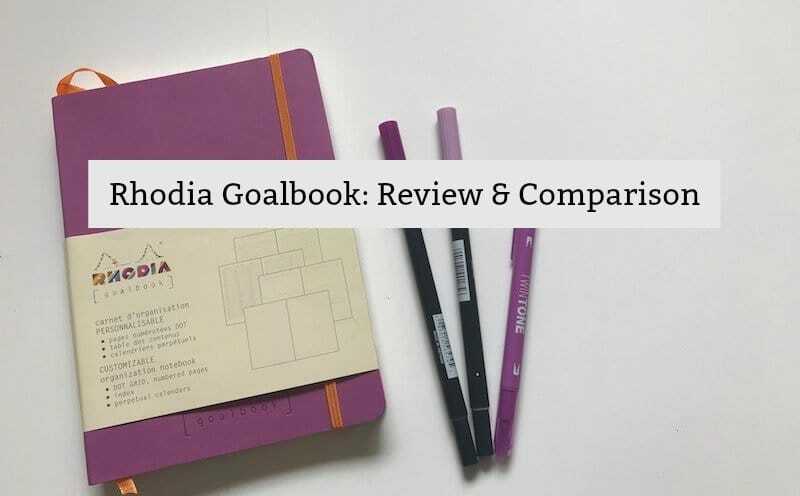 Is the Rhodia Goalbook the right notebook for your next bullet journal? Find out in this review, as I compare it to the journals I have used in the past and note the pros and cons. *This post is sponsored by Rhodia. I received a Free Goalbook in exchange for an honest review. This post may contain Affiliate Links. Please see my Disclosure for more information. free of charge. I had previously added this notebook to my Amazon wishlist, so I agreed with excitement. So, after a couple weeks of messing around with it and getting the feel for it, I am here to share my thoughts. 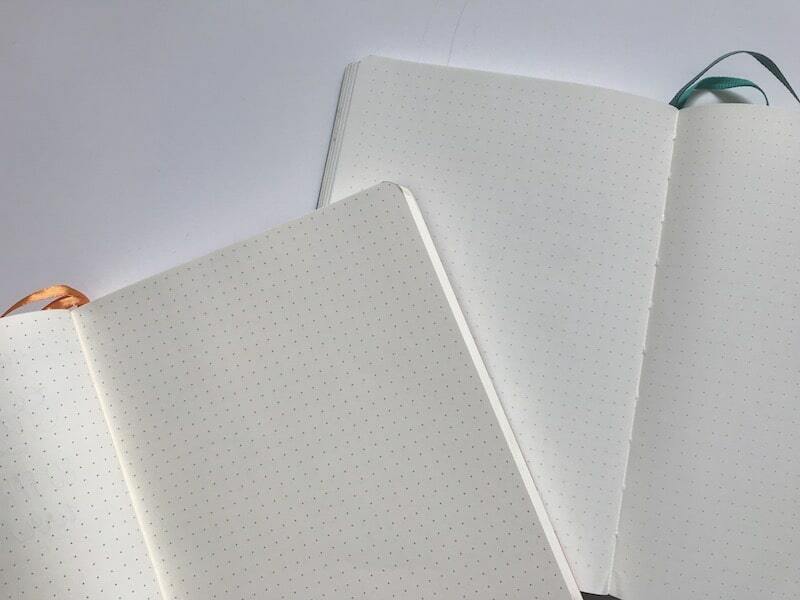 As a rating method, I will be making some comparisons between the Goalbook and other dot grid notebooks I have used. Upon seeing this notebook right out of the shipping material, I loved it. The cover looks soft and is such a beautiful purple color. I wasn’t aware until actually picking it up that it was a softcover notebook. For me, this is a bit of a negative. I like to do a lot of my journaling on my lap on the couch or in bed. Having a softcover can make writing and doodling a bit more difficult. However, for you, this may be a positive. Just from reading the packaging on the notebook, I was impressed and couldn’t wait to jump in. The Leuchtturm1917 has a built-in index but does not include the perpetual calendars, which I was very curious about. The very first thing I noticed when I opened the Rhodia Goalbook was the color of the pages. The packaging states that the pages are Ivory. However, I think these pages are a muted yellow, which is a big negative in my opinion. 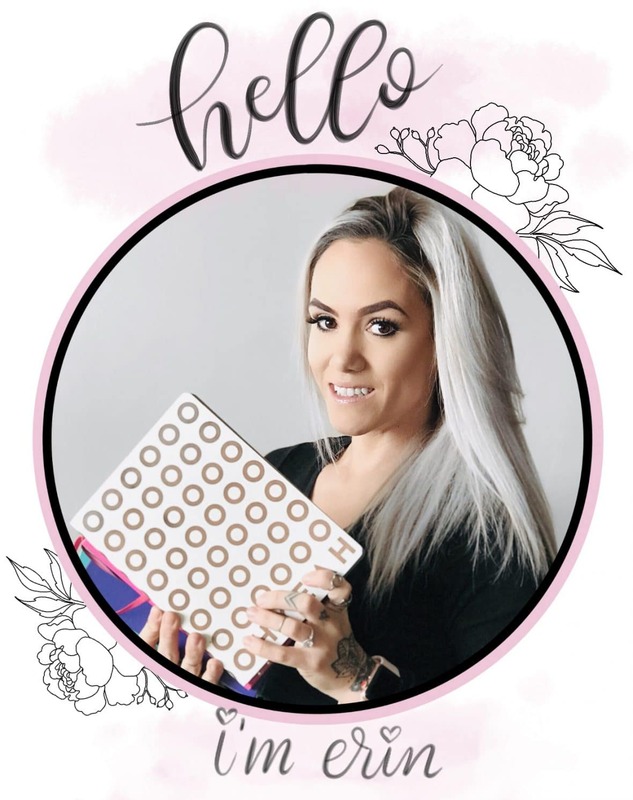 I currently use a Nuuna for my personal bullet journal, and the pages are bright white. In the past, I have used the Leuchtturm1917, and while the pages do have a cream color, it is not nearly as yellow as these pages. The problem I have with this is that the yellow tint can impact the way certain colors look on the page. With the Pastel Tombows for instance, the color is much more muted and has a warm tone to it. The color aside, the pages are the smoothest I have ever felt. 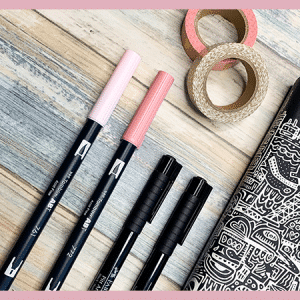 They are buttery soft and begging to be written on with a calligraphy dip pen. Because it’s Clairefontaine paper, it’s meant for this type of pen. In the past, I have tried my dip pen in my Leuchtturm and Nuuna to no avail. In both journals, the ink from the pen spidered out on the pages. So, I had to try out my dip pen on the Rhodia Goalbook pages. And, even with little previous practice, I was strikingly surprised at how smooth and comfortable it felt to write on. When I flipped the page over to see if it had bled or ghosted through, I was shocked again. There was no sign of any ghosting! 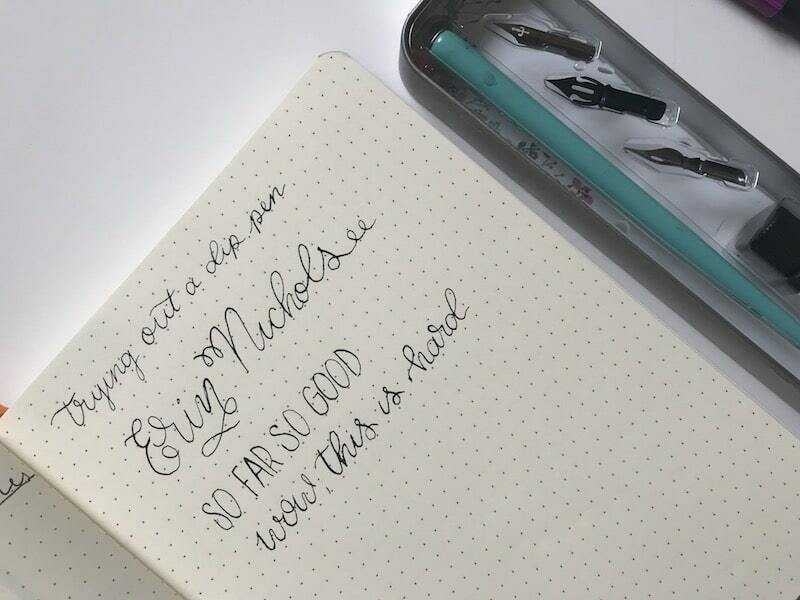 This may be the perfect notebook for you if you love using a dip pen. I also did a Test Page to try out the pens and supplies I use most frequently in my journals. The results were awesome. The colors did show up surprisingly well, despite the color of the pages. And, what I feel is most noteworthy is that nothing I used bled through and barely even ghosted. I did a spot of watercolor, and even then the pages held up. The last thing I want to bring up in this section is the dots (see Edit). 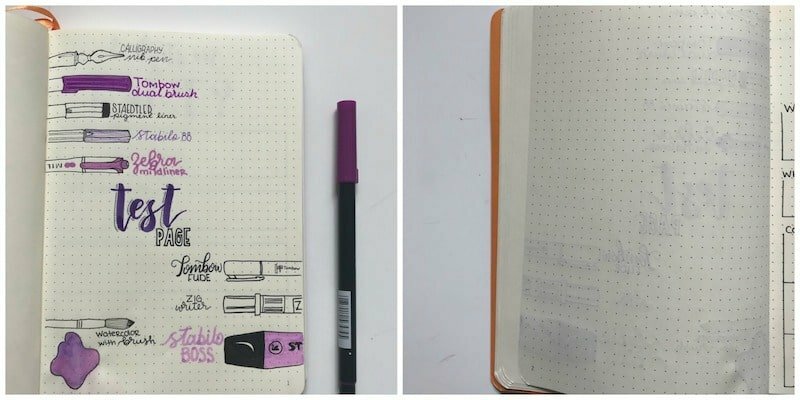 The dots are very dark in comparison to those found in the Leuchtturm1917 or Nuuna. They appear to be bigger as well, but that could just be due to the darker color. I am not a fan of these darker dots as I feel they would interfere with what I’m putting on the page. Edit: The kind people at Rhodia wrote me back after reading this review, and gave a good explanation of the color of the dots. 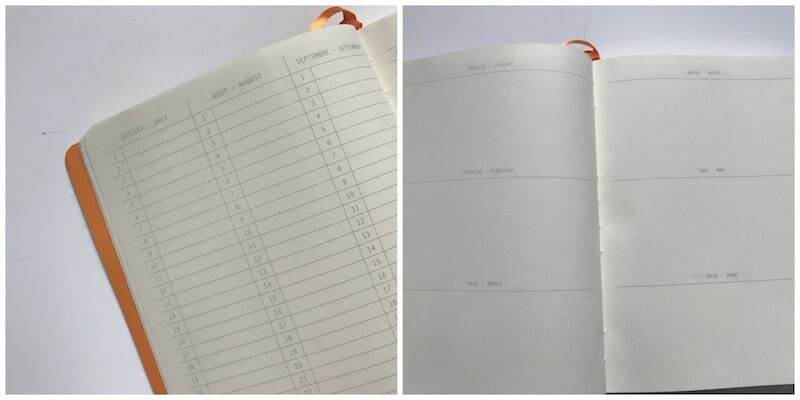 The Rhodia Goalbook is printed in Europe and is not allowed to use chemical stabilizers in the ink. This is an environmental regulation that many other countries don’t have. While I’m still not a fan of the darkness, I am proud of Rhodia for being environmentally friendly and can say that I support them 100%. Paging through the Index and Perpetual Calendars came next. There are six pages in the Index, which are lined and have two columns. There’s a small column for the page number and a wider column for the title. Following the index, there are eight pages for the two perpetual calendars. I am unsure why you would need two in the same notebook. But, I understand that it gives you a choice of preference between long columns for each month or the more traditional horizontal layout. 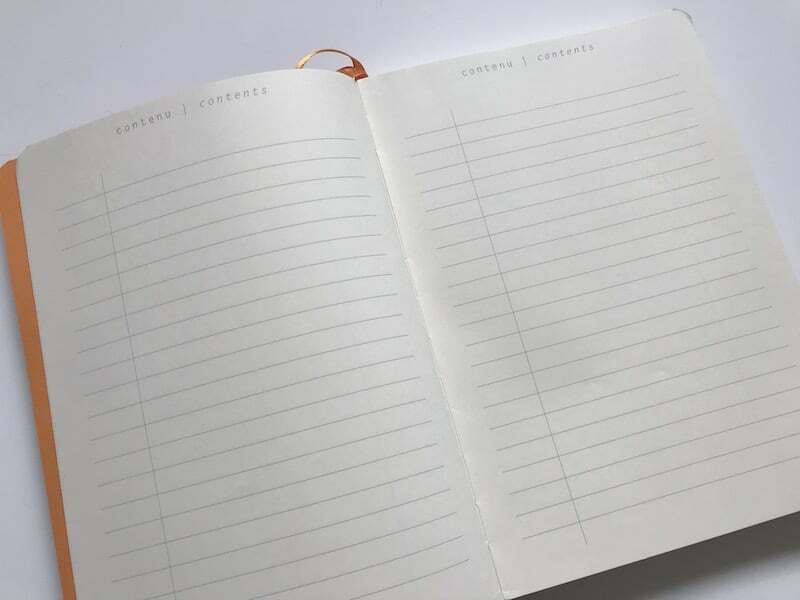 I prefer to create my own future log, so these pages aren’t for me. But, depending on your preference these could be extremely beneficial. And, there is plenty of open space if you want to add some creativity with color, doodles, etc. , and couldn’t be happier. Still, there were a few things that didn’t fit my preferences. 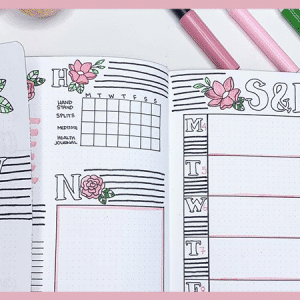 I left the Index and Perpetual Calendars off the list above because while I am not a fan of having those pre-designed, it is such a personal preference. Some people will greatly appreciate this added bonus and use it to it’s fullest extent. 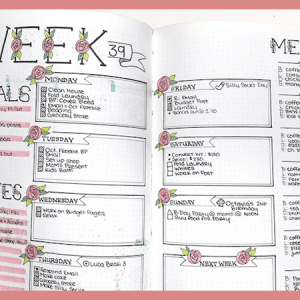 Will the Rhodia Goalbook be your next bullet journal? Do you already have one? Tell me your thoughts in the comments below.